It was the largest mountaineering expedition of its time, taking place over two months and involving hundreds of skilled climbers, in one of the world's most remote and inaccessible mountain ranges. New peaks were named, and dozens were scaled for the first time. 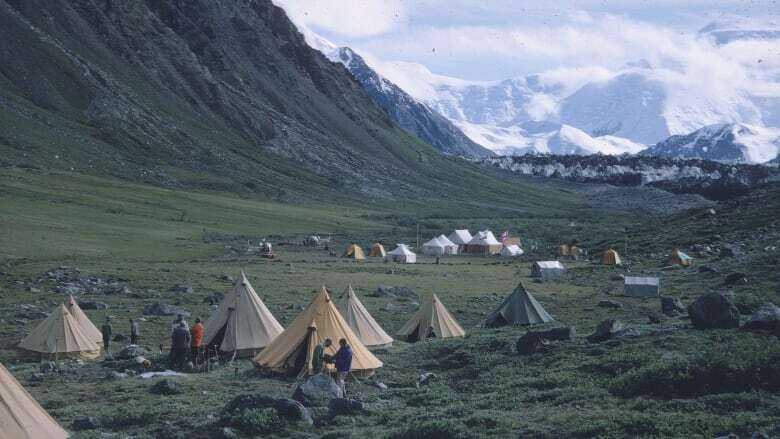 There were no serious accidents or disasters, and nobody died — which may at least partly explain why the Yukon Alpine Centennial Expedition of 1967 has largely faded from public memory. People came, they saw, they conquered, and they went home. 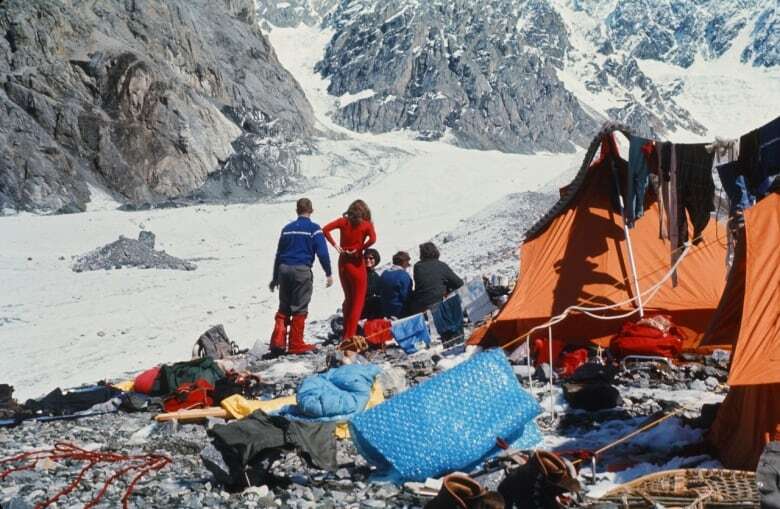 "I don't think that a lot of Canadians today recognize what was accomplished in 1967 back there in the great Icefield Ranges — by what was, really, a whole generation of climbers," said Zac Robinson, with the Alpine Club of Canada (ACC). 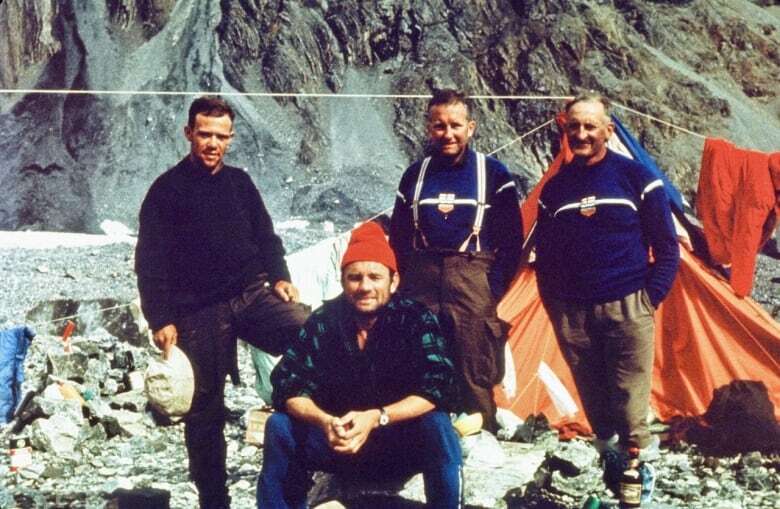 "A great deal of new terrain was explored; 26 first ascents were recorded." It was the ACC that latched onto the idea of a major expedition as a way to mark Canada's centennial year. 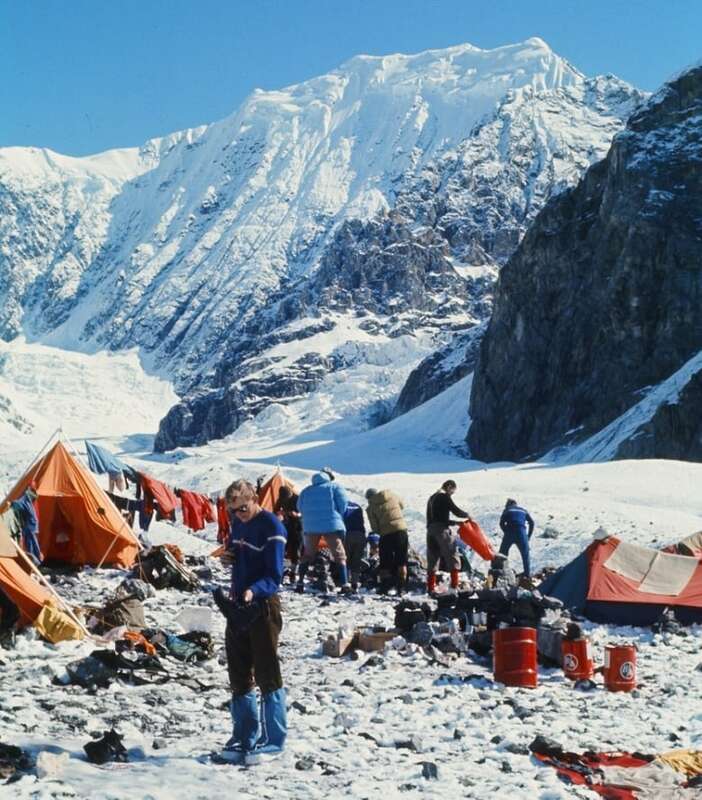 Organizers chose Yukon's St. Elias Range, based on a suggestion from Yukon mountaineer Monty Alford, who knew the area well. The remote range is Canada's highest land mass and home to the country's highest peak, Mount Logan. The ACC took Alford's suggestion and ran with it. "This was an expedition — this wasn't a weekend of climbing," said Phil Dowling, who was the logistics coordinator, and one of the climbers. "I thought it was exciting, I think everybody thought it was exciting. I don't think there was anybody on the expedition who had ever done any climbing in the Yukon." 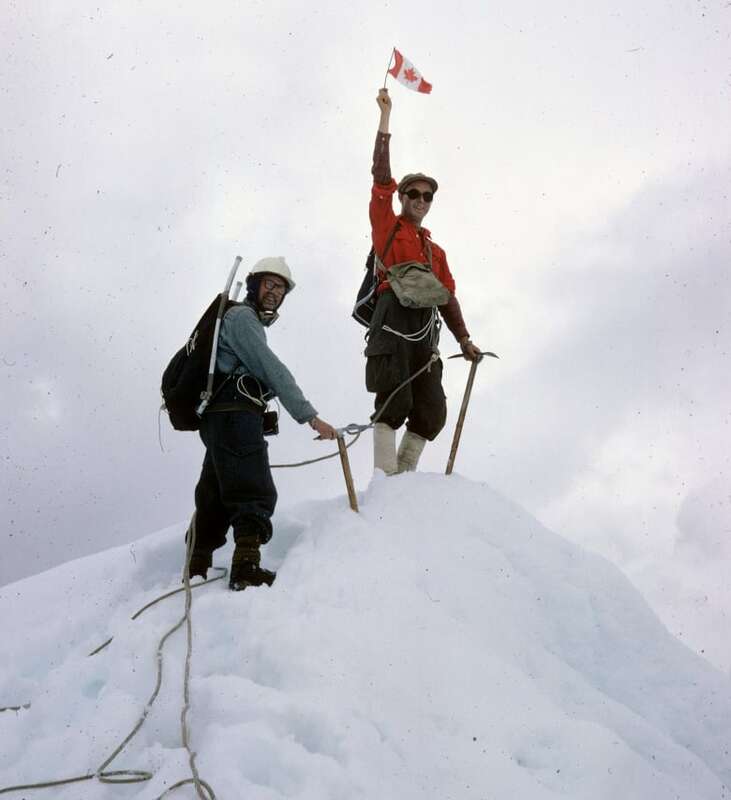 By the end of the two-month expedition, in August 1967, a team of Canadian and American climbers (including Alford) had scaled and named Good Neighbour Peak, while 13 more teams tackled 13 peaks in what's now called the Centennial Range. A peak was named for each province and territory — save Nunavut, which was not yet a territory — with the 13th and highest dubbed Centennial Peak. "We were Canadians, from every part of Canada, came in to explore this area and to sort of put it on the map," Dowling recalled. At the time, he was living in Alberta, and had been climbing for about 15 years. When the ACC put out word about the expedition, Dowling leapt. "When I saw my pals were going to go, I said, 'Jeez, I wanna do this.' So we did it." 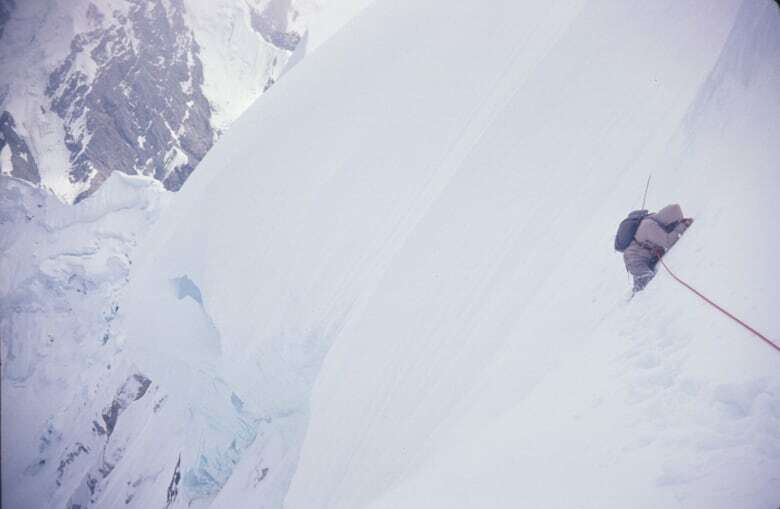 Each peak in the Centennial Range was assigned by the ACC to a team of four climbers, and Dowling pushed to be on the Mount Alberta team. He made the cut. Bigger challenges were yet to come. 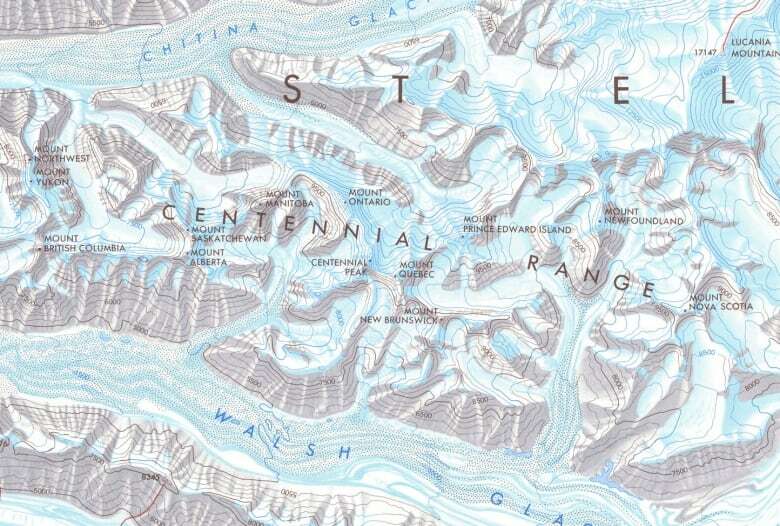 Dowling says the whole Centennial Range "was extremely technical — everywhere." It took his team two attempts to make the summit. No team had an easy climb, but some had it tougher than others. "It was overwhelming. All of the mountains, I think, were overwhelming to the group," said Andrea Rankin, who was a member of the team attempting Mount Saskatchewan — the only team comprised solely of women. Her team, and the one attempting Mount Manitoba, were the only ones forced to give up. "You know, there was a general feeling that it was a remote area, the rock was rotten, the mountains were very steep," Rankin said. "We definitely did the best we could, 'til we were turned around by loose rock on a narrow ledge." "The fact is that no one has climbed [Saskatchewan] since ... so I feel that we did pretty well." Rankin was 31 years old at the time. Like Dowling, she jumped at the chance to join the expedition the moment she heard about it. So did her friend Wendy Teichmann. The two were living in Montreal at the time, and had climbed in the Laurentians, and upper New York State. So, as the crowds flocked to Montreal that summer for Expo 67, Rankin and Teichmann skipped town and drove west to climb mountains. "We were just keen and energetic. We were wonder women — we could do anything," Rankin said. They didn't know at first that they'd been assigned to the women's team. In 1967, mountaineering was still largely a men's sport, so a women's team was a bit of a novelty. Rankin remembers feeling a little daunted, but "it seemed like a wonderful opportunity." "I had been used to climbing with men, and it was usually the men who lead the rope. Women didn't have that much experience leading — being first on the rope," she said. She and Teichmann were teamed with two older, more experienced climbers, making "an excellent team," Rankin says. "We were very, very compatible and Wendy and I were very keen to hear the stories of the older women. You're depending on each other, you're trusting each other, you're working together, and I think we all recognized that. "I think we did pretty well. I mean, we kind of rose to the occasion." Now, half a century later, Rankin looks back on the expedition as a cherished, once-in-a-lifetime experience. She may not have seen the view from atop Mount Saskatchewan, but her outlook on life was forever changed. "Because I had been on mountains and in very tricky situations — and survived and coped — it's put life and its crises and difficulty more in perspective," she says. She and Phil Dowling — both now living, not far from each other, in B.C. — recently met up again. It was the first time they'd seen each other since the expedition. "We spent about five hours talking about — guess what?" Dowling said. Like Rankin, Dowling remembers the expedition as a major event in his life — "a crux in my climbing career," he says. "It's very, very uplifting to one's ego to be able to accomplish some of these mountaineering feats, and do it with close friends. There's almost kind of understanding that often the military have between one another — because they've experienced things that no one else has." Dowling recognizes, though, that the expedition does not occupy the same prominent place in the national memory. Like the Centennial range itself, the massive expedition — bold in conception, smooth in execution — is easily ignored or forgotten by most Canadians. Rankin believes the expedition was also "eclipsed" in the mountaineering world. 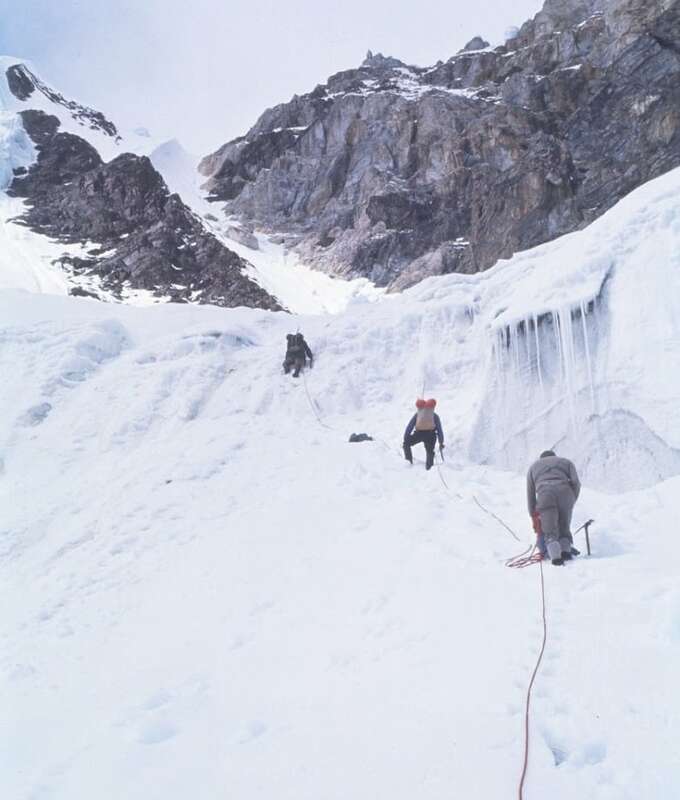 Climbing was becoming more popular in the late 1960s and '70s, she says, but more so as a venue for individual achievement. Massive team expeditions were falling out of vogue. 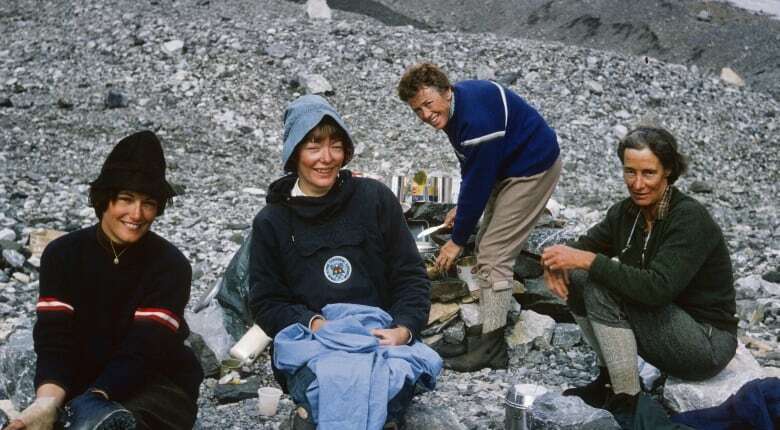 "I don't think that expedition was necessarily a determining event for the whole of the mountaineering world," she said. "In the wave that became popular mountaineering, I don't think it was a big highlight for other people. That's my feeling about it." Zac Robinson, of the Alpine Club of Canada, agrees it's received "quiet attention in the intervening years," and he thinks that's a shame. Maps record the commemorative names given to the peaks, but the centennial expedition's real success, he feels, "is the example it set in terms of nation-wide teamwork, of camaraderie and volunteerism." "And so it's nice, 50 years later, to shine a light on that especially. It was what the club was all about, and that remains so to this day."